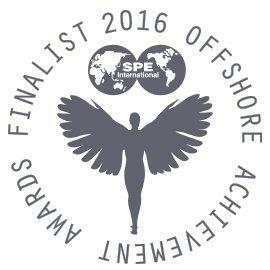 Tendeka are excited to announce that they have been shortlisted for ‘Great Large Company’ at the 2016 SPE Offshore Achievement Awards. It comes at a challenging time in the oil and gas industry where Tendeka has continued to evolve and strengthen through a series of successful mergers, acquisitions and divestments with a strong focus on organic growth. This has led to its position today as a recognised international leader in the provision of completions systems and services to the global upstream industry. Tendeka responds not only to current market opportunities, but has pushed the development of completions technology and service provision further, to provide effective solutions ahead of existing market demands. This forward thinking strategy has positioned the company as a highly credible alternative to the major oil and gas service providers. Tendeka is continuing to regularly win contracts and has been a game changer in offering alternative solutions to the lower completions market. The Offshore Achievement Awards take place on Thursday 17th March at the Aberdeen Exhibition and Conference Centre where Tendeka will be up against ADIL and Amec Foster Wheeler for the ‘Great Large Company’ award. Tendeka would like to congratulate all this year’s finalists!